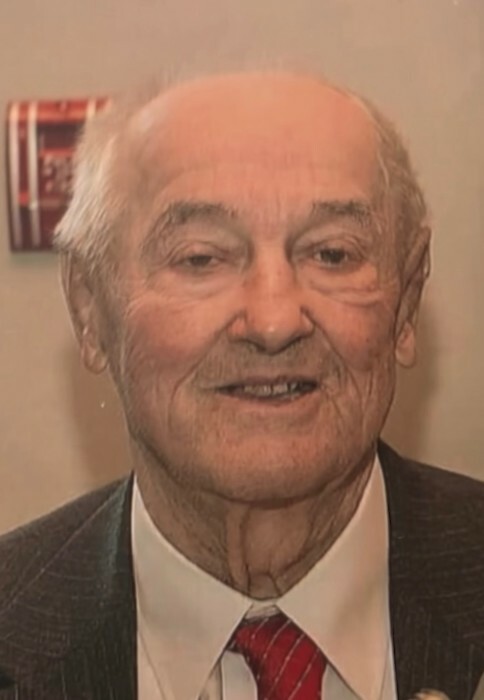 Obituary for Joseph H. Borlikoski | Varnum Funeral Home, Inc.
West Brookfield - Joseph H. Borlikoski, 90, died on Saturday, March 31, 2018 at Quaboag Rehabilitation and Skilled Care Center. He leaves his loving wife of 49 years, Charlotte M. (Jezyk) Borlikoski; one son, Joseph H. Borlikoski and his companion, Kathleen Pratt; his daughter, Lynne M. Dame; five granchildren, Joseph Young, Barbara Young, Dianna and Dan Lussier, Kristy and Christopher Cornelius, and Colby Borlikoski, as well as five great-grandchildren, Alyssa, Bryann, Courtney, Samantha, and Connor. He was born in Hadley, son of the late Joseph H. and Josephine (Kusik) Borlikoski, and has lived in West Brookfield for 50 years. Joseph owned an operated a sporting goods store and also the Mansion House in Ware. He retired in 1991, after working for 14 years as a merchandising associate at the former J.C. Penney store in the Eastfield Mall. Joe loved being outdoors. He was an avid sportsman, enjoying his time spent both fishing and hunting. He also liked to work around the yard and gardens at his home, and taking care of his fruit trees. He was a life member of the Hardwick Rod & Gun Club, and a life member of the Young Men’s Club of Hadley. Above all this, he found his happiest times being with Charlotte, his children, grandchildren and great-grandchildren who he loved dearly. A Funeral Service for Joe will be held on Friday, April 6, 2018 at 10:30AM in the Varnum Funeral Home, Inc., 43 East Main St., West Brookfield. Calling hours will be held from 9 to 10:30AM prior to the service. Burial will be in Pine Grove Cemetery following the service. In lieu of flowers, memorial donations may be made to the Sacred Heart of Jesus Church, P.O. Box 563, West Brookfield, MA 01585 or St. Jude’s Children’s Research Hospital, P.O. Box 1000, Dept. 142, Memphis, TN 38148 or at www.stjude.org.